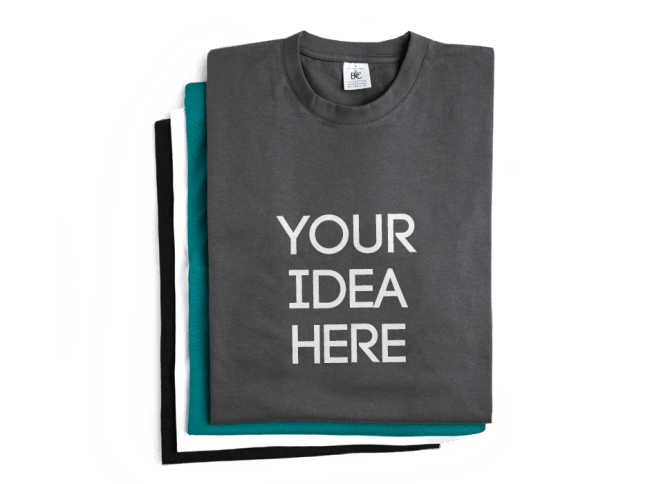 With Spreadshirt, you can create cheap custom T-shirts with long-wearing quality. Express yourself with a library of designs and fonts, or upload your own photos or designs to make your gear your own. We’ve got a variety of sizes, styles and colors to satisfy any taste or style. Hosting an event or just need a fresh T-shirt to rock this weekend? Our volume discounts make our cheap T-shirts even cheaper! Every Spreadshirt product is put through rigorous testing for durability. Our products can be washed and worn time and time again with no reduction in quality. Enjoy your cheap T-shirts for a long time to come. You can print on the front, back, sleeves—it’s your T-shirt! Make it however you want it! And remember, our volume discounts start at just six products, so why not order a whole bunch of new tees? If you would like to order less then 6 t-shirts, you should use our Cyber Week Deals. Your wallet will thank you.